Did you know that medical debt is one of the reasons why a lot of Americans are having troubles with their credit scores? We all know how important credit scores have become in our society today. This score measures your creditworthiness. Before you are approved of a loan application, the creditor or lender will always check your credit score to determine how risky you are when it comes to payment behaviour. The idea is, when your credit score is low, there is a higher chance that you will not pay back what you borrowed from creditors and lenders. But recent studies have shown that not all individuals with low credit scores are entirely irresponsible when it comes to debt. According to an article published on CBSNews.com, over half of the overdue balance on consumer credit reports is caused by unpaid medical debt. Most of them are unpaid because of reimbursement delays from health insurance companies. Other causes include medical billing errors and disputes that have yet to be resolved. Apparently, there is some shady business going on when it comes to collecting medical bills. When the hospital, health facility or medical professional have unpaid receivables, they turn it over to medical debt collectors. These collectors go after consumers for payment – even when it is clear that the payment should be coming from health insurance companies. To pressure consumers into paying their bills from their own pockets, debt collectors file an unpaid report to the major credit bureaus. This results in a low credit score for a lot of consumers. These findings came from the Consumer Financial Protection Bureau or CFPB. They have been compiling reports, complaints and observations with the intention to protect consumers from this seemingly unfair practice of reporting medical debt. Based on the article from CBS News, the efforts of the agency is effective because a medical debt collector had been apprehended because of these shady practices. A settlement with Syndicated Office Systems had resulted in a $5.4 million payout to more than 23,000 consumers who had been wrongly hounded for medical bills. This payout is in checks of $100 to $1,000 – depending on how each consumer is affected by the illegal practices of the medical debt collection industry. If you are currently burdened with medical bills, you need to understand the new rules that should protect you from getting a bad credit score. Based on the December 2014 report published by the CFPB in their website, ConsumerFinance.gov, an estimate of 43 million Americans are found to have overdue medical bills. Most of these consumers are found to have ruined credit reports because of this debt. Confusing billing process for medical expenses. Some consumers incur a lot of bills – from the hospital, separate treatment sessions, professional fee, etc. These multiple providers can be quite confusing. Not only that the cost sometimes vary from one client to the next because of factors like the insurance, etc. This is why some consumers are unaware of how much they really owe in terms of their medical bills. No standard practice in reporting overdue bills. The lack of standard procedure when reporting overdue medical debt is another reason why this is a big problem for consumers. There is no clear indication when their unpaid medical bills will end up in their credit report. Other debts will wait until after a pre-determined period passes before they report the unpaid debt to the major credit bureau. For medical bills, it can vary from 30 to 180 days. It depends on the health care provider when they will send the report. Practice of “parking” unpaid debts on credit reports. This means the debt collector reports the unpaid medical bill and does not inform the consumer about it. This practice puts the consumer in danger of damaging their credit report without being given the chance of doing something to prevent it. To deal with these problems, the CFPB required credit reporting companies to provide them with accurate reports on a regular basis. This will help them examine how to deal with the problems that consumers are facing when it comes to their medical debt. The agency would like to make the credit reporting market accountable for the accurate credit reports that consumers have. This market includes the credit bureaus (Equifax, Experian, and TransUnion), and the creditors and collectors providing the report. Apart from the CFPB, a group of State Attorney Generals are also working on this problem too. According to an article published on Time.com, it will soon be easier for consumers to correct any errors on their credit report – especially if it involves their medical debts. The article mentioned how the three major credit bureaus have agreed to improve how they report medical debt and how they will deal with any errors that customers are complaining about. This change is part of their response to the settlement with Eric Scheiderman, the New York State Attorney General. The changes will be implemented six months from March 2015. The credit bureaus are expected to provide trained employees that will review the complaints of consumers and investigate accordingly. Not only that, the credit bureaus are required to wait 180 days before they are allowed to add any unpaid medical debt in the report of the consumer. This is meant to give the consumer enough time to work on their unpaid debt before it damages their credit report. According to the CBS News article mentioned earlier, some of the problems need to be put into law and thankfully, legislators are also working on it. In May of 2015, US Reps. John Carney (D-Delaware) and Andy Barr (R-Kentucky) introduced a bill known as the Medical Debt Relief Act. This bill seeks to allow the erasure of paid medical debts from credit reports within 45 days after full payment. It might be a long time before this is passed but the step in that direction is already taken. While all of these steps are being taken, it is important for consumers to take their own steps to keep their medical debts from ruining their personal finances. According to the report from CFPB, there are 15 million consumers who only have medical debt on their credit report – nothing else. 20% of credit reports have at least one overdue medical bill. There are too many consumers being affected by the bad credit reporting practices for unpaid medical bills. You need to make some effort to keep your debt from ruining your financial life. Of course, dealing with big medical bills is easier said than done. It takes dedication, self control and constant vigilance to help keep your debt from ruining you. Here are four things that you can do. Keep yourself healthy. Prevention is better than cure. If you can avoid it, do not incur the debt. Live a healthy lifestyle so you do not have to spend on medical expenses. Get insurance. If you know that your family is prone to certain illnesses, have yourself insured. It is better to be prepared by buying the right health insurance for you and your family as well. That way, you do not have to break the bank every time someone in the family falls ill.
Save up for emergencies. Apart from a health insurance, you can also avoid medical debt if you save up for these unexpected expenses. Grow your emergency fund so you have something to dip into when you need it the most. Deal with your other debts. 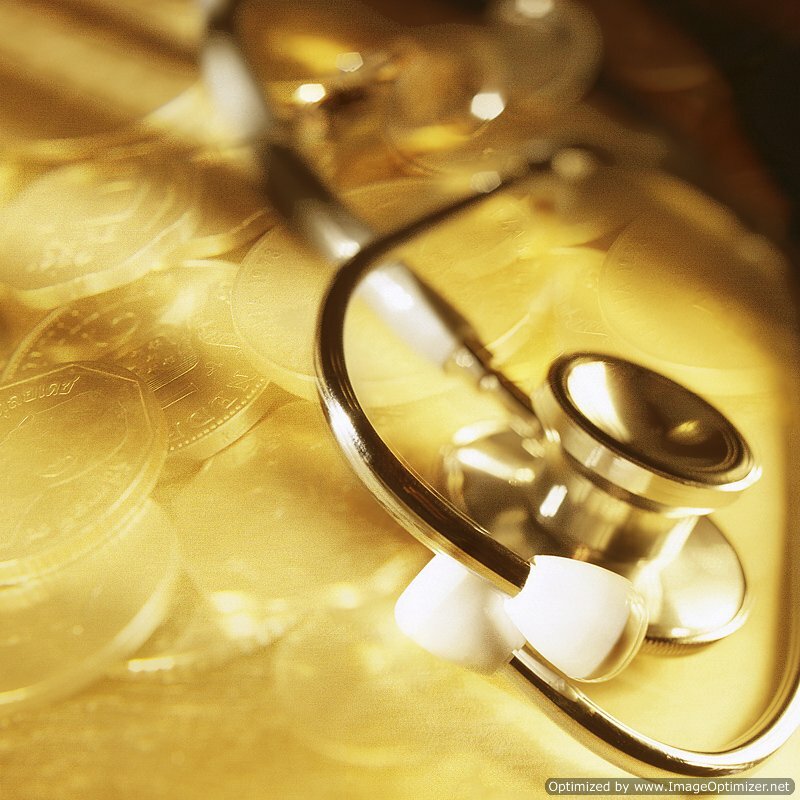 One way that you can also keep your medical debt from ruining you is by paying off your other debts. In most cases, people with too much debt are stressed. We all know how stress can cause a lot of health issues. Do not let stress rule your life so illness can stay away from you too.